Eric Clapton is a English guitarist, as well as blues-rock singer and composer. Eric became popular for his skills on the electric guitar, particularly with his Stratocaster. 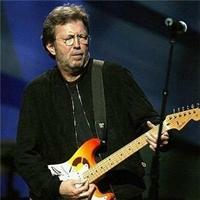 Eric Clapton is also known by the name "Slowhand" since his days in the band The Yardbirds. Clapton has been inducted into the Rock and Roll Hall of Fame three times: as a member of The Yardbirds, of Cream, and as a solo artist. He has been referred to as one of the most influential and respected artists of all time. His musical style has gone through various changes throughout his career, but his roots have always been grounded in the blues. Vote for your favorite Eric Clapton album.